Disneyland is full of magical experiences: moments where the outside world disappears and you feel transported. These goosebump-inducing moments are nowhere more apparent than in Disneyland’s nighttime spectaculars: Fantasmic, World of Color, and, of course, the fireworks. When creating the for-sure definitive list ranking Disney World’s nighttime spectaculars (coming soon), I thought it would also be fun to rank the spectacles at Disneyland in a way that would be equally for-sure definitive. However, like I just stated, there are only three of them. So, for variety’s sake, I’m going to throw in the parades at Disneyland as well. Since the Main Street Electrical Parade just glowed away for good, I’m also going to include Paint the Night as eligible for this list. There are a lot of factors that go into my ranking, but my guiding principle is this: how long would I be willing to wait to watch this parade or spectacular? Countdown to fun! Just typing the Pixar Play Parade out got that theme song stuck in my head. Yes, the music in the Pixar Play Parade is a catchy earworm, mixing a custom theme song with pop songs like “Don’t Stop Me Now,” “Girls Just Wanna Have Fun,” and “Life is a Highway.” The parade also features plenty of water cannons that spray out into the crowd. Both of these could be good or bad things, depending on your mood. The Pixar Play Parade is a solid, fun parade, featuring unique floats from Monsters University, The Incredibles, Finding Nemo, A Bug’s Life, and Toy Story. When compared to Disneyland’s other offerings, it shows its age a bit. The floats aren’t as dynamic as Disneyland’s other parades. 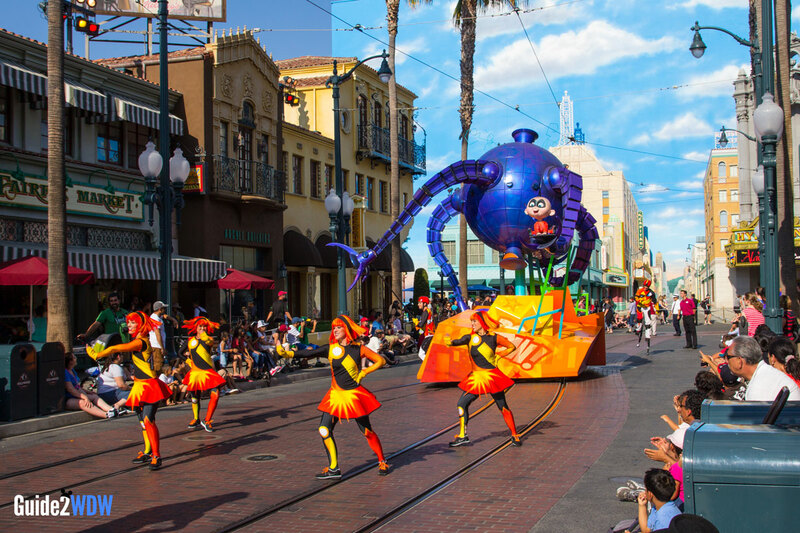 It will be interesting to see if Disney plusses this parade when it moves over to Disneyland for 2018’s Pixar Fest. Right now, it lands in the category of “Will Stop to Watch If It’s Happening and I’m Passing By.” Which is good, because it’s usually pretty easy to grab a good spot. This parade starts with Mickey Mouse playing a read drum set. Do you need anything more than that? OK. Live instruments. Stunning floats from Aladdin to Lion King to Mary Poppins. A great soundtrack. Mickey’s Soundsational Parade is a fantastic afternoon parade. 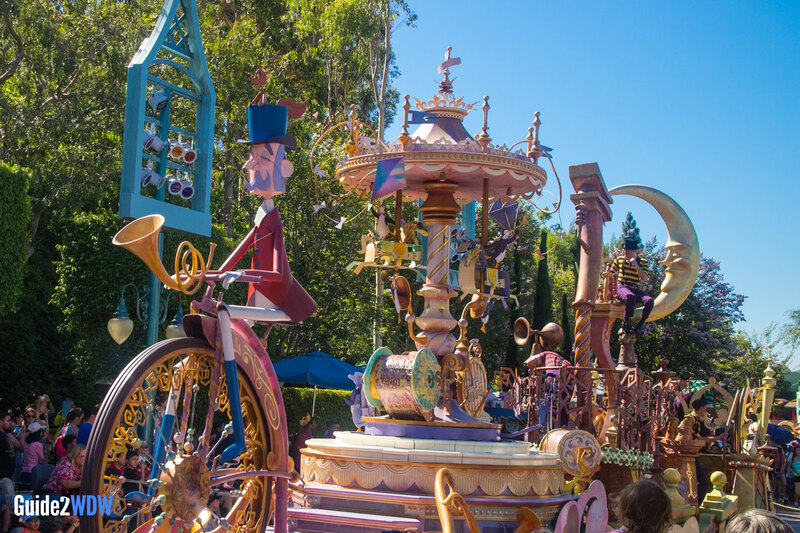 The float design and live instruments give this parade an energy that lifts it above the Pixar Play Parade. Disney has outdone this parade with Festival of Fantasy at Magic Kingdom and with Paint the Night, but this still remains a great parade. Worth waiting a little bit for. Disneyland’s fireworks are a delight. The small Sleeping Beauty Castle actually is an advantage: the sky becomes a bigger canvas, and Tinkerbell flies over the castle a few times in closer proximity to the onlooking crowd. I particularly love the Disneyland attraction medley, which becomes the centerpiece of these fireworks. As a Disney Parks fan, there’s just something about hearing Grim Grinning Ghosts or the Star Tours chime during a big fireworks show. Disneyland enhanced these fireworks greatly by adding projections onto Sleeping Beauty Castle, the Matterhorn, and It’s A Small World. However, these fireworks pale a little bit in comparison to the Disneyland Forever Fireworks that played during the 60th Anniversary celebration. 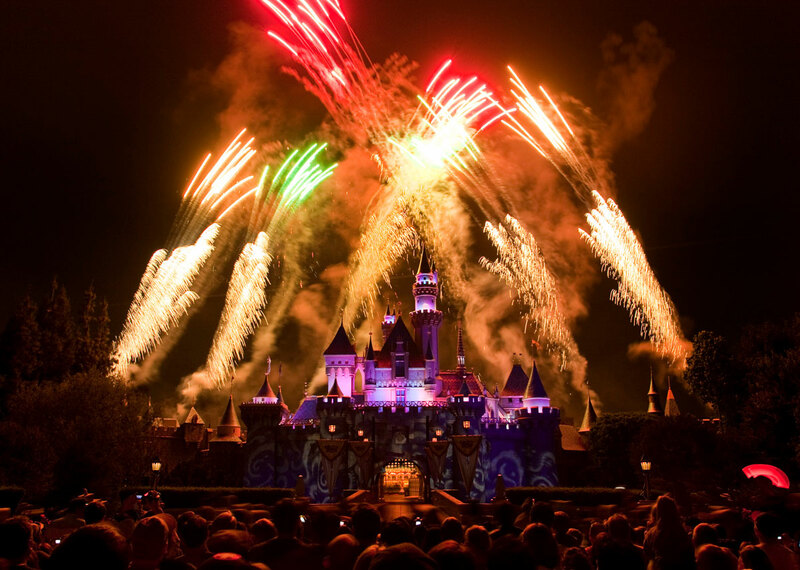 Remember… Dreams Come True are definitely a must see during your visit to Disneyland, but it’s a step back from one of the greatest fireworks shows I’ve ever seen, and why these fireworks don’t rank higher on the list. 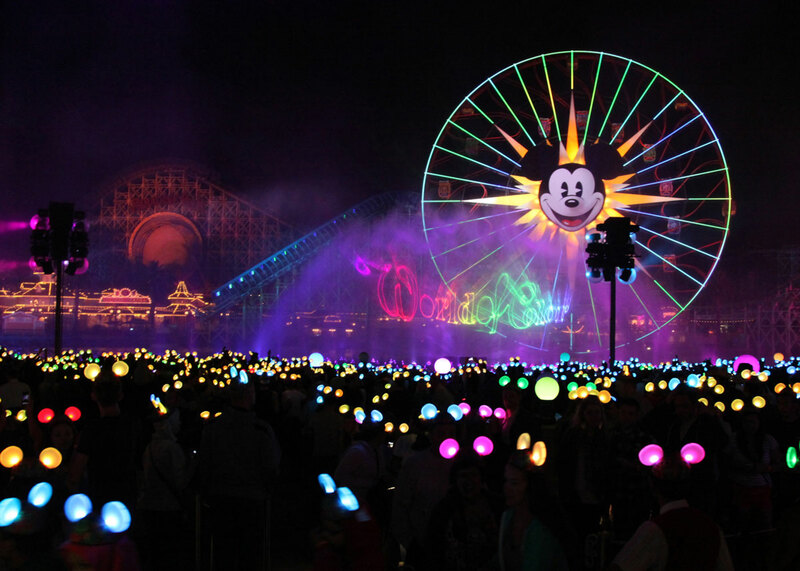 “The world is a carousel of color…” There really isn’t a show like World of Color anywhere else. Yes, Rivers of Light and even Fantasmic share some of the same water projection DNA, but World of Color is the purest execution of a water projection and fountain show. 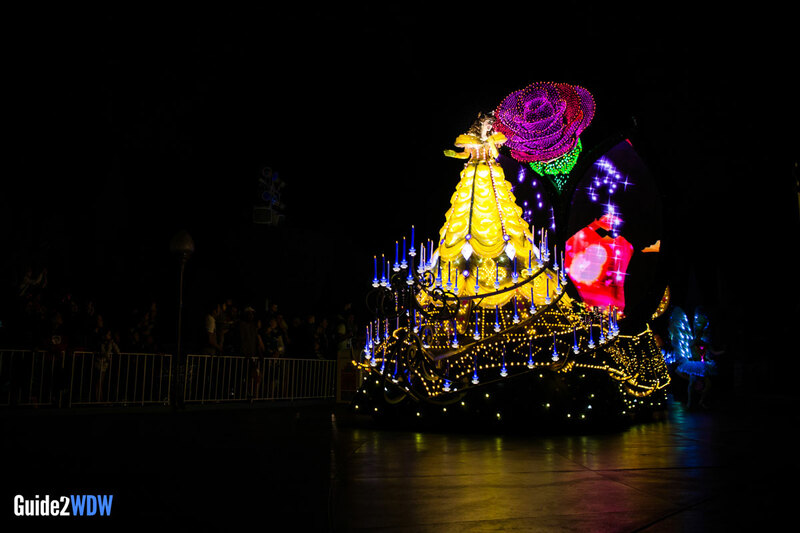 While there really isn’t a story, the 25 minute show gets by on pure spectacle and entertainment, which isn’t a bad thing as far as nighttime spectaculars are concerned. From “Friend Like Me” to “Part of Your World,” each song flows from one to the next, with some pretty entertaining interstitials in between. My only complaints are that the show drags a little bit in a couple of spots (looking at you “Colors of the Wind”) and that, if its a windy night, the projections aren’t nearly as crisp as on a still night. However, the spectacle of the giant fountains and flames that come with World of Color are definitely worth getting a FastPass and showing up early, or spending money on a dining package. I never really considered myself a big fan of parades. I’ve enjoyed them, for sure, but they were never really something I would spend a lot of time waiting for. That changed with Paint the Night. It is by far my favorite parade Disney has ever done. Every single float is a knockout, from the opening stunner with Tinkerbell flying to the closing spectacle of Sorcerer Mickey. I recently rewatched the Main Street Electrical Parade during its revival at Disneyland. I have a lot of nostalgia for that parade, especially for the music. But MSEP has definitely shown its age, and Paint the Night has rightfully taken its place as the next generation of nighttime parade at Disneyland. The soundtrack is just perfect, with its nods to MSEP. Like World of Color, Paint the Night is worth a long wait or a dining package. I’m excited for its upcoming return to Disneyland Resort. Before it was closed for refurbishment during the Rivers of America rerouting, Fantasmic 1.0 would have been somewhere in the middle of this list, definitely behind World of Color but probably ahead of the fireworks. 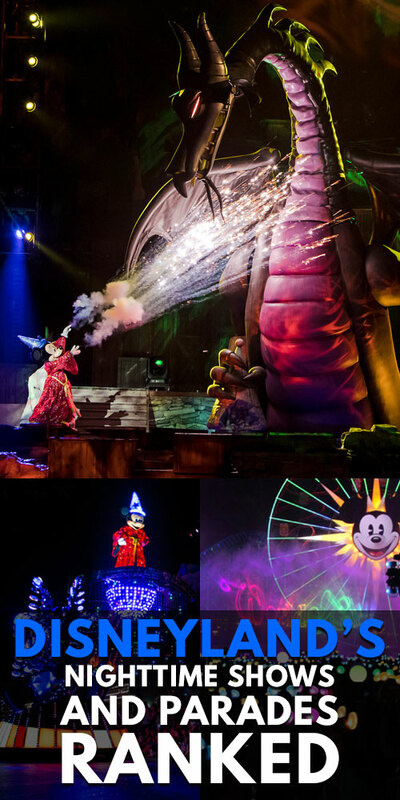 I really enjoyed the previous iteration of Fantasmic, and I thought it was a big improvement over Disney World’s version. 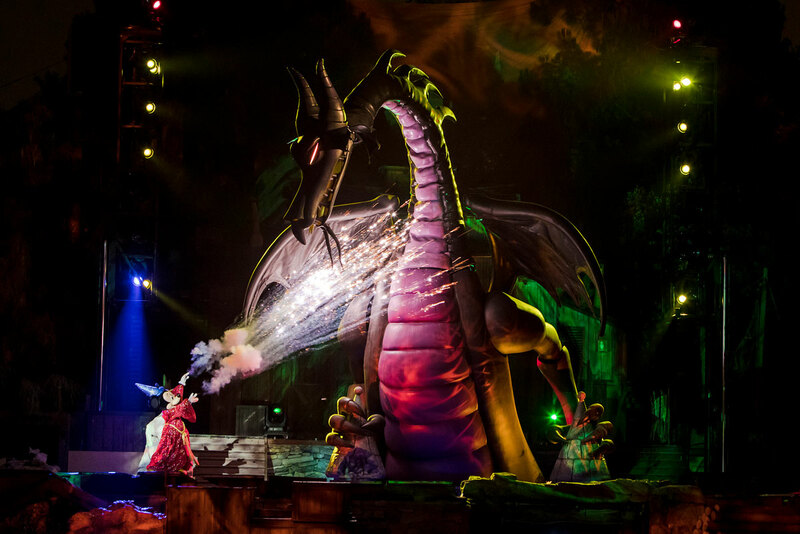 However, Fantasmic 2.0 blows that spectacle of imagination just out of the water. Every single part of the show has been enhanced, and I would argue for the better. The special effects and water projections have all been given a big upgrade, which gives the show a much more seamless and stunning quality. Even having seen the previous version many times, there are moments in this new version of the show that had me wondering “How did they pull that off?” Sitting in the front section of the new Fantasmic was one of the best experiences I’ve ever had at a Disney park. To use an overused word in the world of Disney, it was magical. And isn’t that what a nighttime spectacular is supposed to be? The only downside to Fantasmic! right now is that it causes the worst bit of body traffic I’ve ever seen, so plan accordingly. Show up early or grab a dining package for this show. What do you think of these rankings? Agree? Disagree? Let me know in the comments below!